Add Michelle Brut, Torres Orange Liqueur, bitters, and ice to wine glass. Stir briefly. 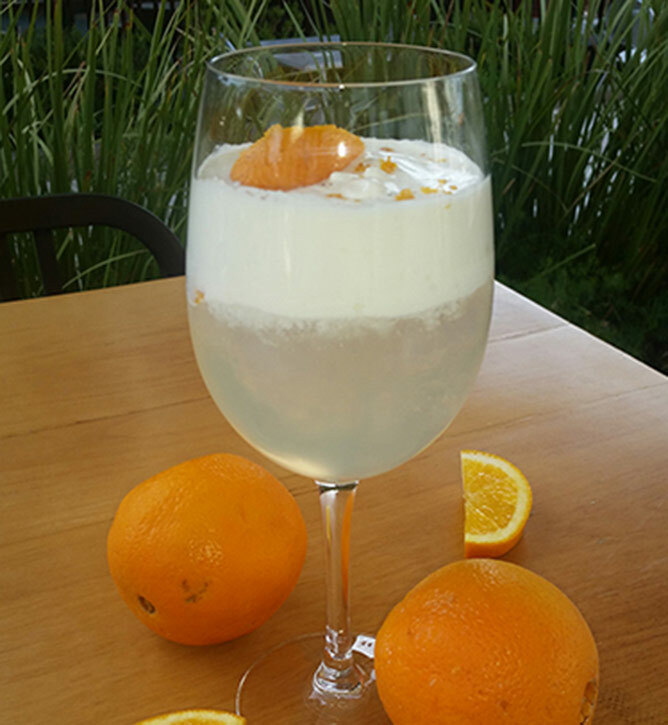 Top with 2 oz hand-whipped cream (whip 1 pt cream/.25 pt fresh orange juice). Grate orange zest over top and add a thick swatch of orange peel.